Michael Phelps…or Eargo? Who could say? 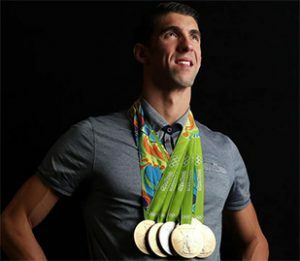 We finally know how it feels to be Michael Phelps. Well, not the Aquaman-level swimming part. More the “so many awards, we don’t know what to do with them” part. Display them? Put on a low-rent version of Hamilton with them (that we still couldn’t get tickets to)? 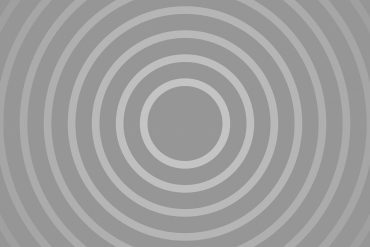 Talk about them in a blog post? 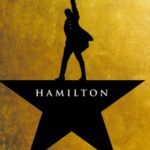 Since we can’t handle the thought of missing Hamilton again, we’re going to opt for the blog post. So sit back and get ready for the concert of a lifetime, cause we’re about to toot our own horn hard. It’s official: Eargo is one of the best places to work! The winners were determined based on a series of 50 questions, with topics ranging from work-life balance, compensation, and future outlook, all answered anonymously. Oh, and this wasn’t a small survey…10 million employees participated. 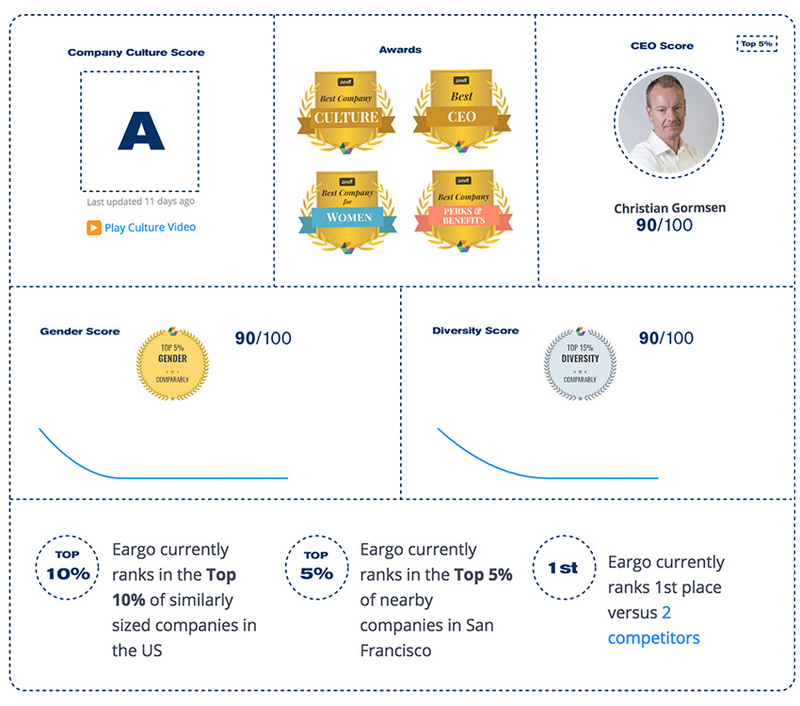 That’s right…out of 10 million employee ratings across 50,000 U.S. companies on Comparably.com, Eargo came out on top. And while it’s an honor, it certainly isn’t a surprise. After all, we’ve always known that Eargo isn’t just one of these best places to work…it’s the best place to work. Where else would you find a team of hard-working, brilliant, and creative employees, using their powers to change the world for the better? 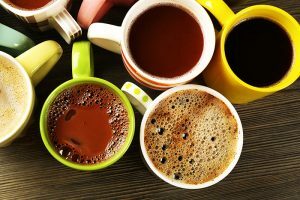 Where else would you find a company that cares about its employees enough to offer flexible time off, comprehensive health benefits, and enough coffee to run Starbucks out of business? Where else would you find a company that’s just plain fun? 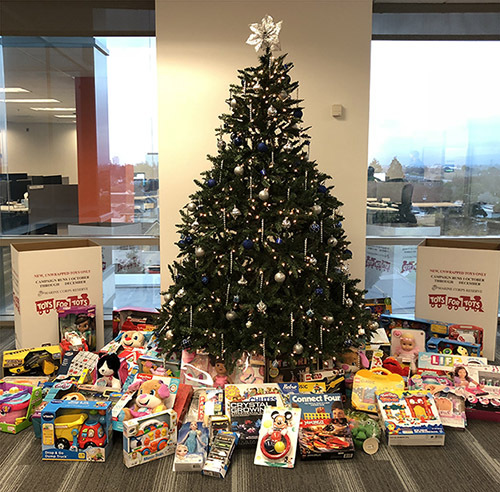 Whether it’s our weekly lunch outings to decide which local taco shop reigns supreme, competing over who has the scariest Halloween costume or spreading a little extra joy with our annual Toys for Tots drive, we make sure to balance our work with plenty of fun. After all, who doesn’t feel happier with a belly full of tacos? Some of the best in the industry…couldn’t have put it better if we tried. And where else would you find a CEO who takes the time to personally meet with each new employee and listen to their story? Christian’s mug of choice for all that coffee. That fits Eargo’s CEO Christian Gormsen to a tee. He’s supportive, he’s encouraging, and he’s passionate about the company, which fuels the fire of each and every Eargo employee. 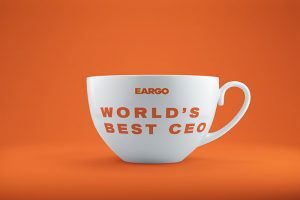 Unfortunately, “amazing CEO who serves as a visionary in addition to being a positive example and support system for his team” is a little long to fit on a business card, so we guess that “World’s Best CEO” mug we bought him will have to do. Oh, look. A show we’ll never see. 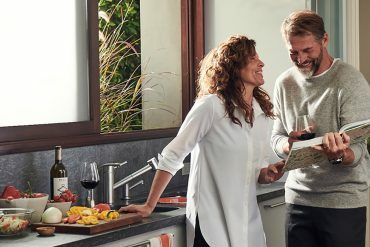 Look, we’ve all heard the old adage… “find a job you enjoy, and you’ll never work a day in your life.” And it’s always been a nice thought, but Eargo makes it a reality. We’re thrilled to do such important, life-changing work in a truly wonderful environment. The only thing that would make it better? If someone gave us tickets to Hamilton. Seriously, it’s been almost four years. We’re desperate. Amanda is Eargo's intrepid copywriter. She spends her days sipping coffee and brainstorming ear puns. So far, she's penned aurally good one or two.